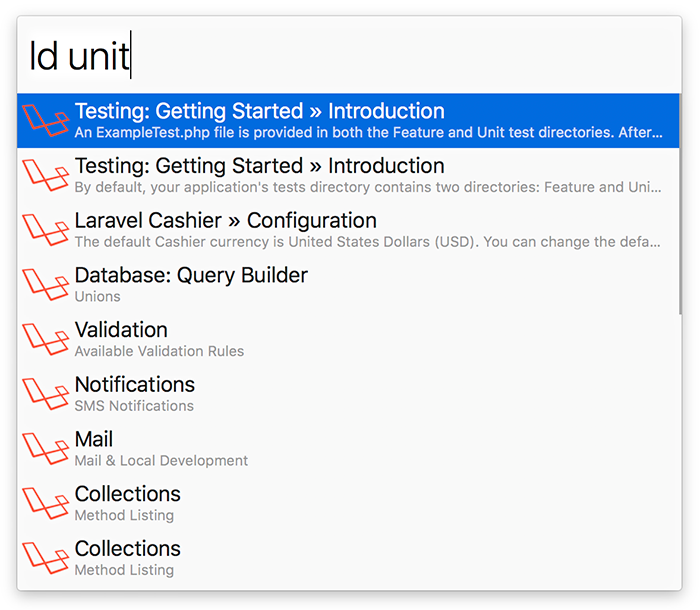 An ultra-fast Laravel docs search workflow for Alfred 3. You can add the workflow to a category, then click "Import" to finish importing. You'll now see the workflow listed in the left sidebar of your Workflows preferences pane. Just type ld followed by your search query. Either press ⌘Y to Quick Look the result, or press <enter> to open it in your web browser.